National Student Advertising Competition held by the American Advertising Federation. This was a semester long project, working as a small advertising agency for my senior lab in college. 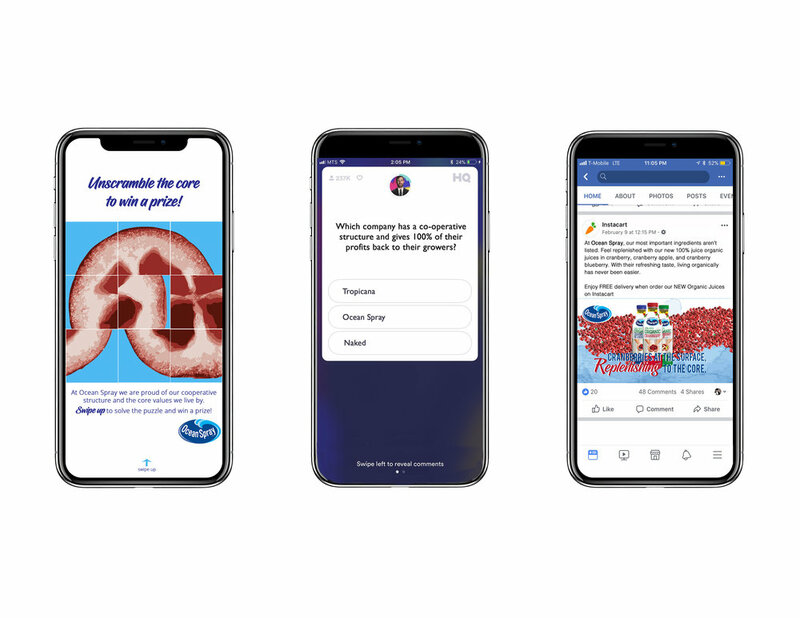 Sixteen students worked through research, strategy, creative, media, brand activation, and production to create a new campaign for our client, Ocean Spray. We were given a brief and objectives by the client that then had to be executed into a complete campaign. Our findings were then presented to the judges who were top advertising professionals. Ocean Spray’s objective was to appeal to a millennial audience, as majority of their sales are currently with the 50+ age demographic. The following materials are creative executions, as well as the final book and presentation that was judged in New York City during 2018. Our idea was to show the core of a cranberry, and show what is at the core of Ocean Spray which is their co-operative structure where they give 100% of their profits back to their growers. The Ithaca College team was awarded 10th place out of over 150 teams throughout America.